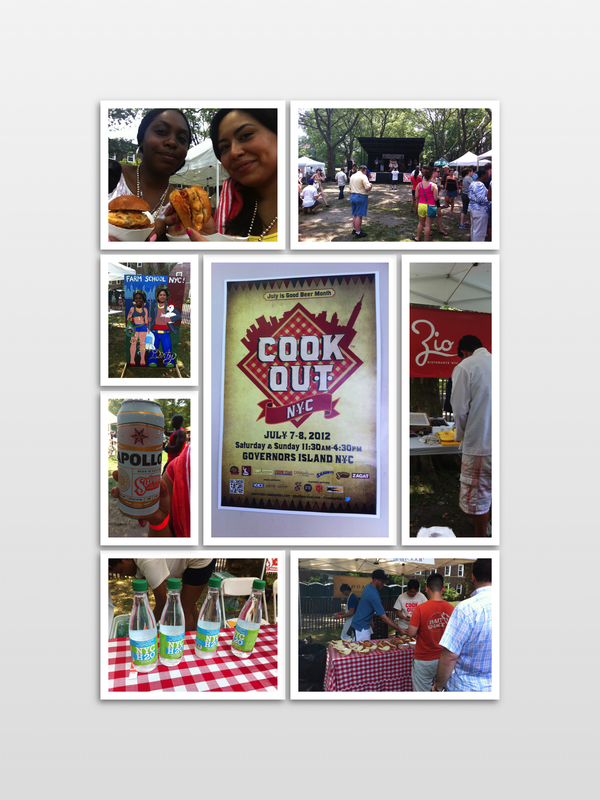 On Saturday July 7th I attended Cook-Out NYC. My view on Governors Island. This event took place on Governors Island. I can not remember the last time I was on Governors Island so it was a pleasure to take the free ferry over to enjoy the sun and some delicious food with my friend Kelly. The ticket prices range from $30-$65 (general admission to premium tickets). This price is not bad for a food-event in such a prime location. The cook-out took place from 11:30am until about 4:30pm (Saturday or Sunday). The sun was bright, the main lawn wasn't packed and the sample lines weren't long. There were plenty of trees for me to relax under and I tried so many mouthwatering hot dogs and burgers it was worth the time and money going to this event. Kelly and I are both health conscious and we split any large portions we received. It may look like we overstuffed ourselves but that wasn't the case the small portions were actually filling, and we got rid of the bread when we thought it was just too much. Out of all the burgers I tried my favorite was not a beef burger but Blind Tiger's Salmon Burger with Kimchi and Asian Salsa (see above). I did enjoy the pork and kimchi tacos they were very spicy but very tasty. Since it was so hot out I was dying for a nice cold beer and I think I've fount my summer go-to beer; the Apollo by Sixpoint Brewery. The beer prices weren't bad and the sangria was not too sweet. 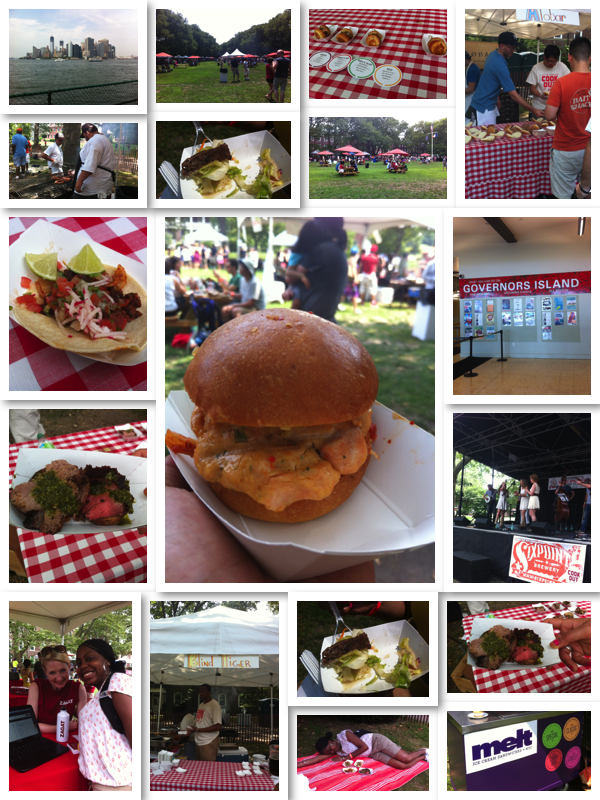 There was live music, a kimchi eating contest, cook off's, and different ice cream vendors selling refreshing treats. Before leaving the cook-out I stopped at the Van Leeuwen truck and got a roasted banana ice cream, it's organic and it's to die for. Zagat, Melt, Alobar, Farm School NYC, Blind Tiger, SixPoint Brewery, King of Brisket, Zio and Bar Bruno. Check out the teaser video I put together and the photo collages below. **The restaurant Kelly and I are talking about in the video is Zio - we highly recommend the pork belly with figs.